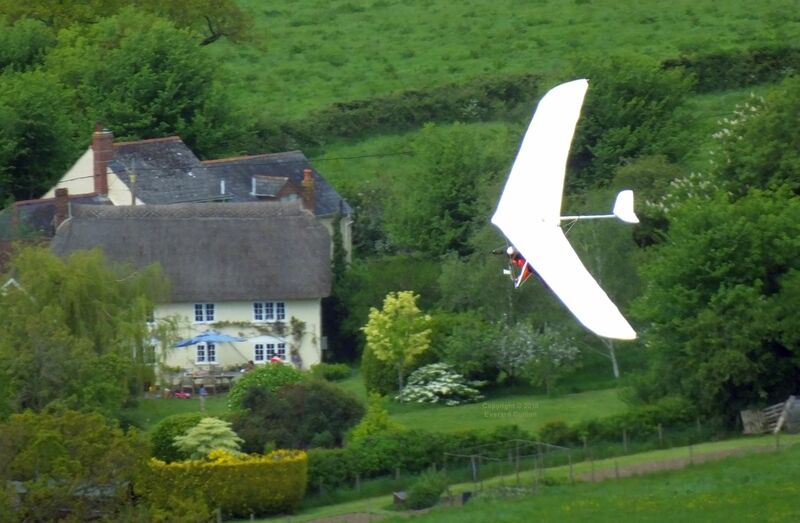 The absence of wing-mounted camera photos on this page is because I am not flying at the moment (a psychological problem). 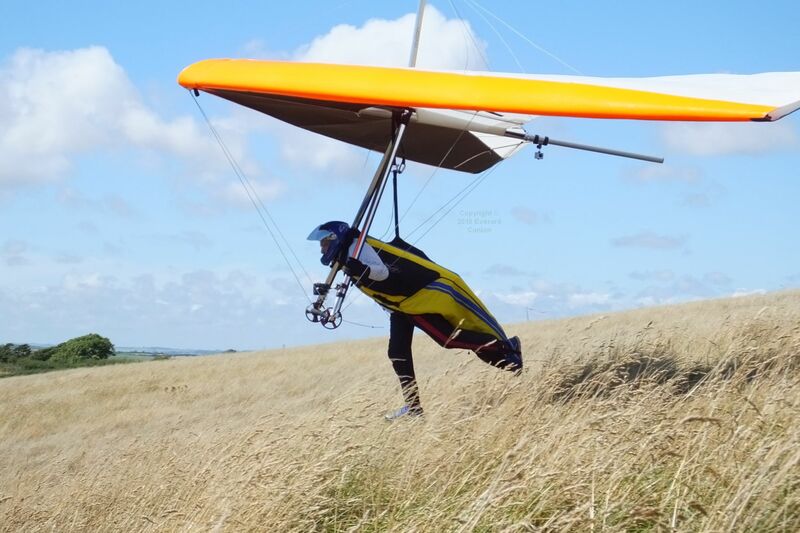 This page continues from Hang gliding 2017. 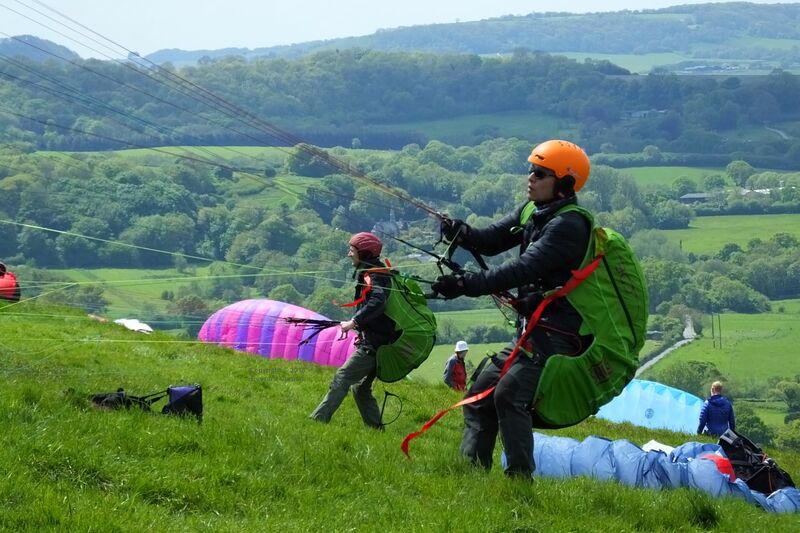 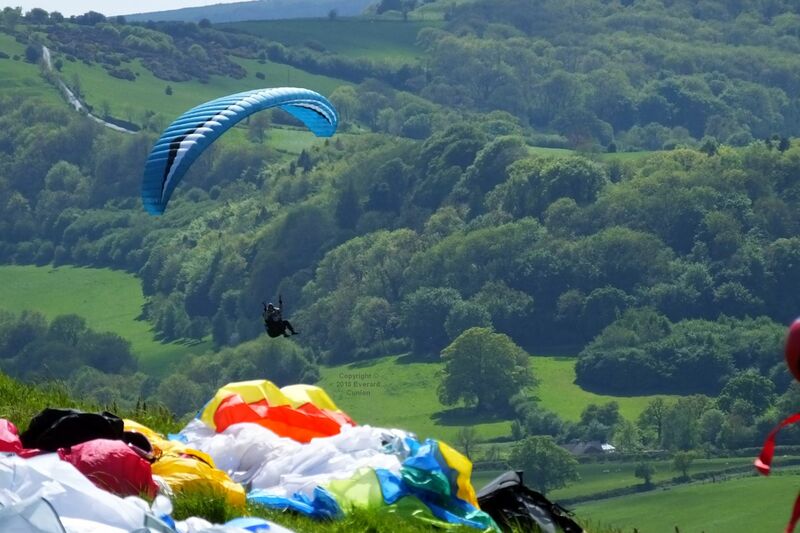 A light wind day in mid-May at Bell Hill, north Dorset, England, saw height gains to cloud base by some, while others struggled to avoid going down to the bottom landing fields. 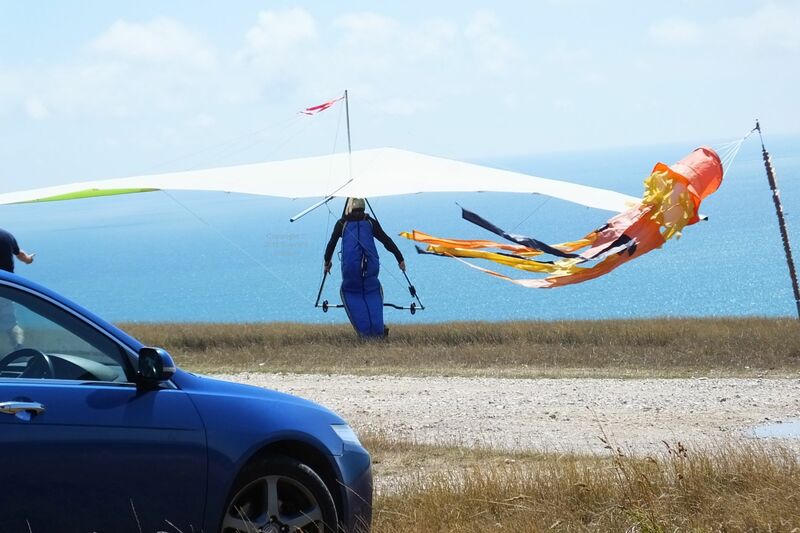 Meanwhile, paragliding training was carried out at the west end of the launch slope. 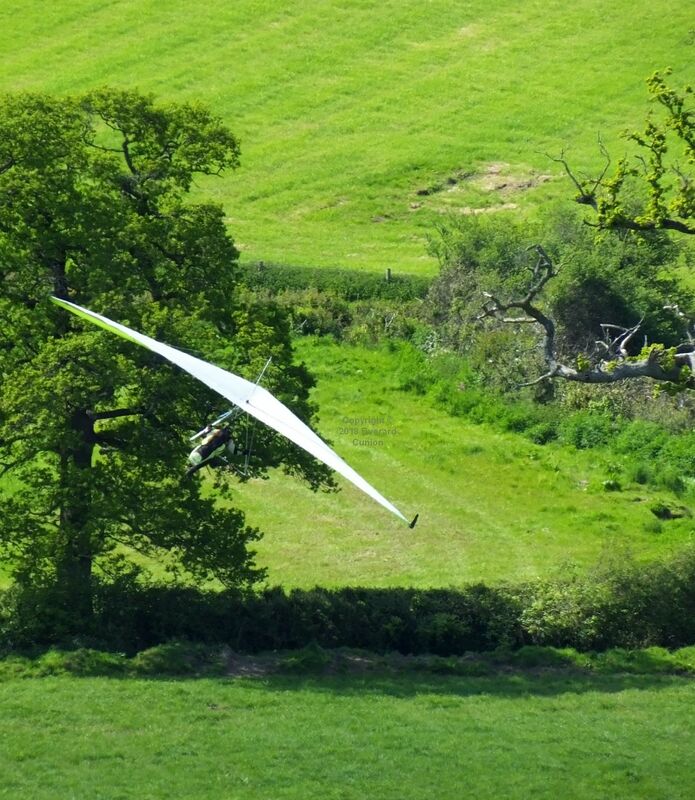 The foreshortening effect of distance causes these situations to appear more dire than they are. 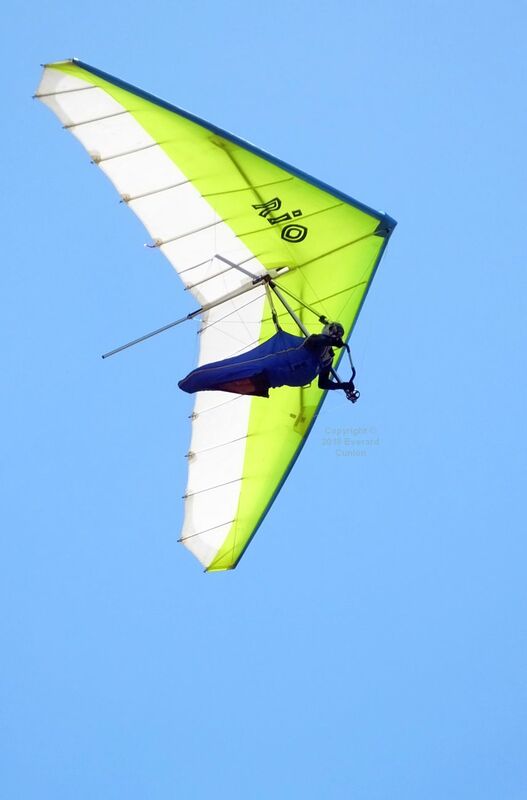 Here, Jason B in a vintage Airwave Klassic flex-wing hang glider, after struggling to find lift, struggles to find space to land in. 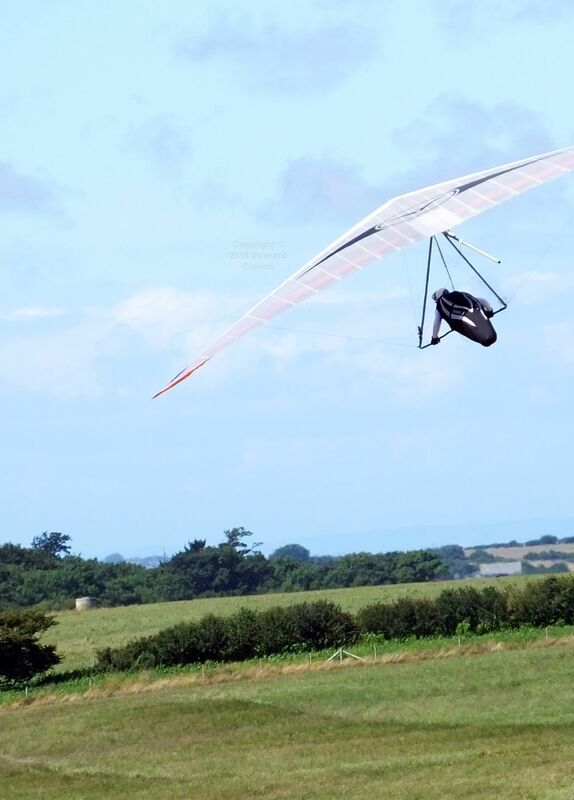 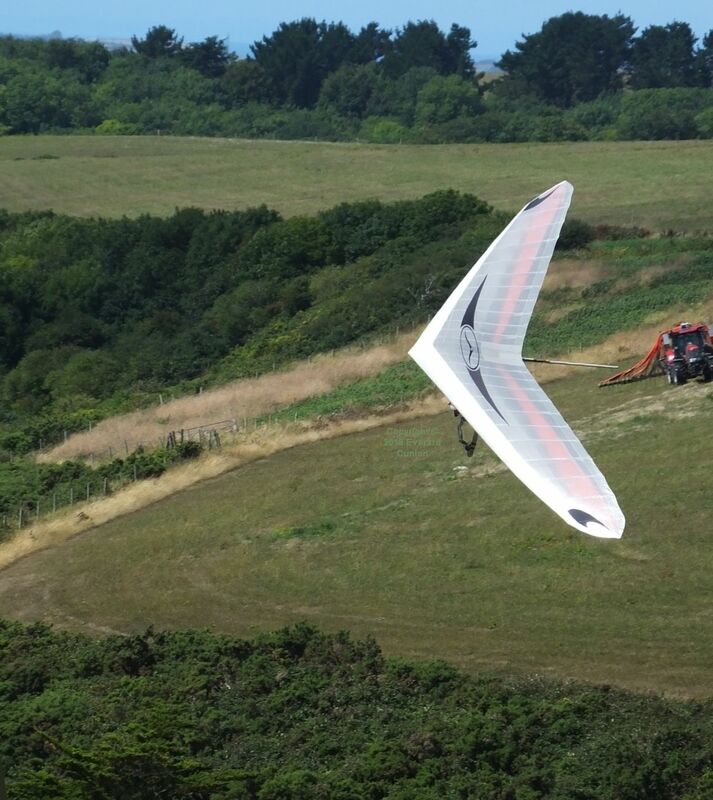 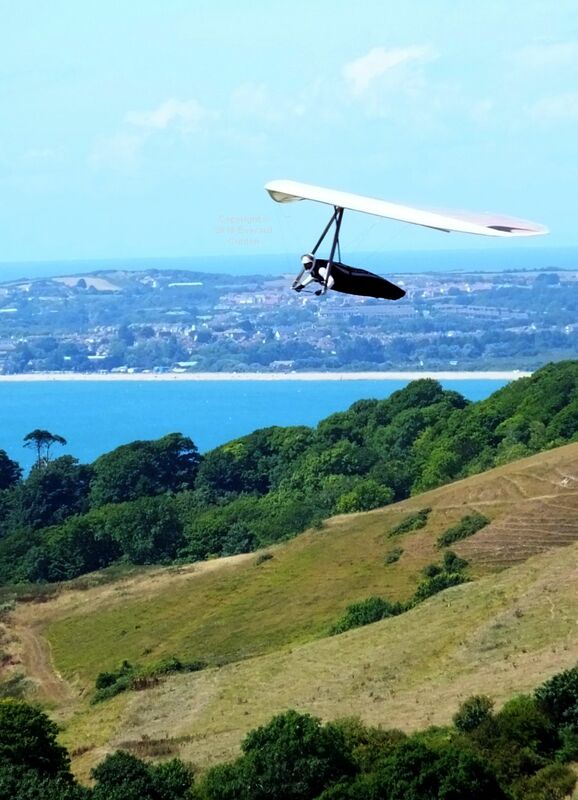 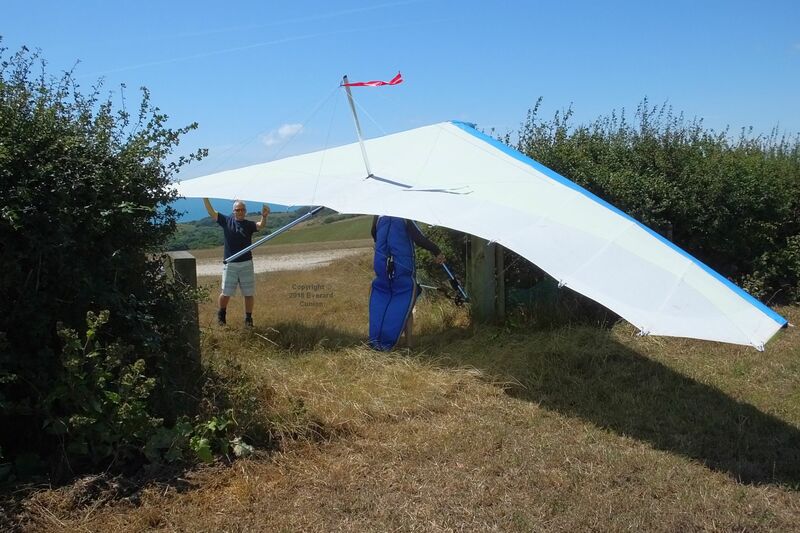 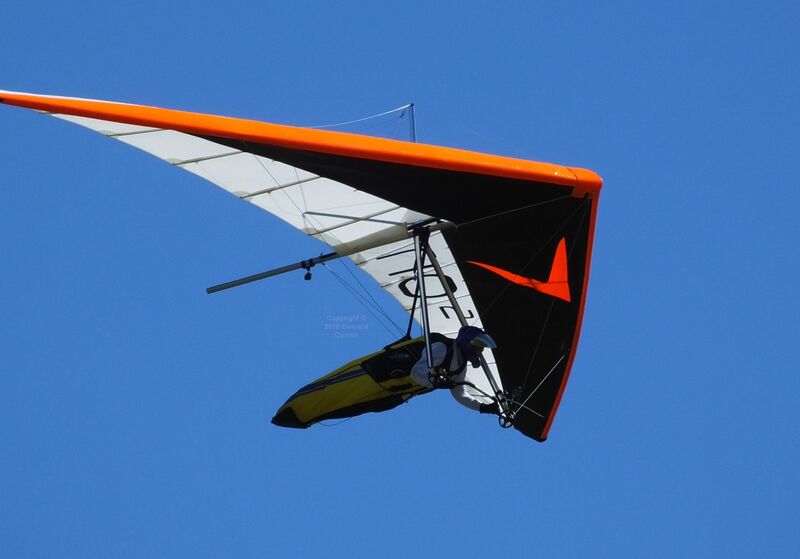 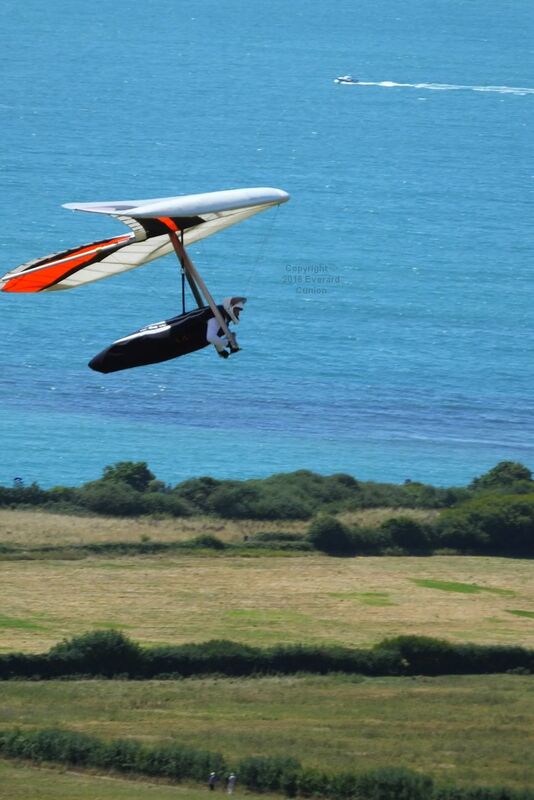 After many weeks of intense heat followed by two days of storms, a mid-week day in late July provided great soaring conditions at Ringstead on the coast of Dorset, England. 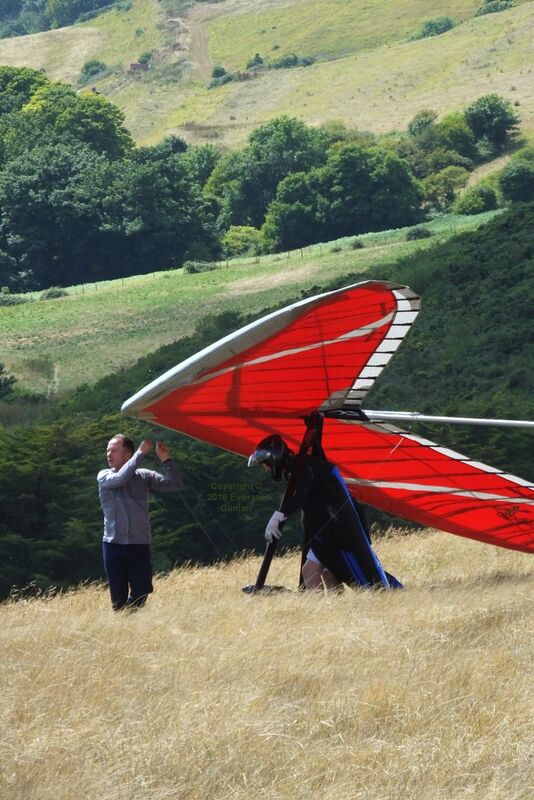 Voytek launched at the wrong time and, as a result, he did not gain much height. 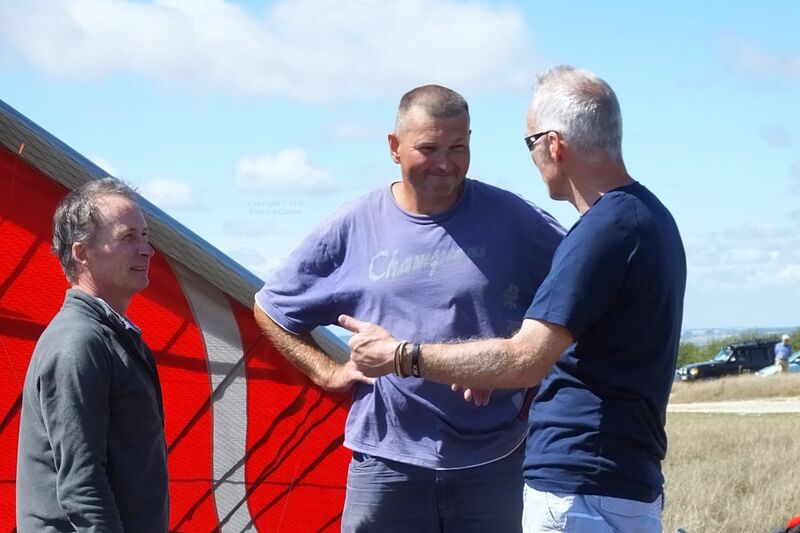 Here, Rob, Voytek from Russia, and Rob discuss their flights. 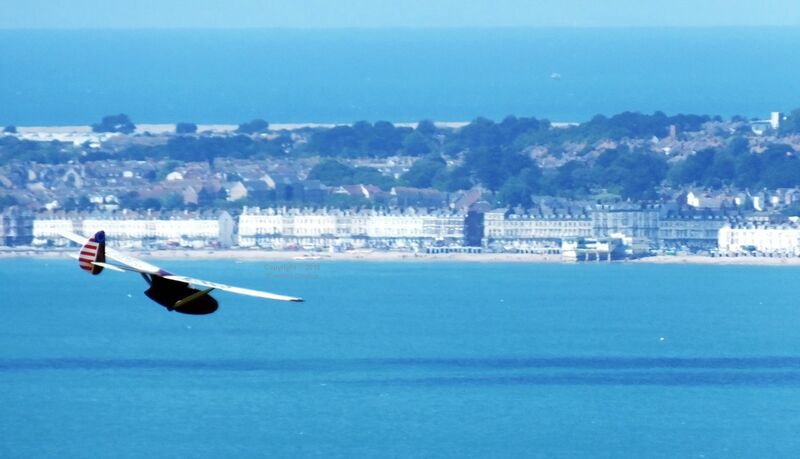 This was a Royal Navy day in the sense that, in addition to Ringstead facing the old navy helicopter base on Portland, which closed some years ago, Rob D and Rob S are former navy pilots (Lynx helicopter and Sea Harrier, respectively). 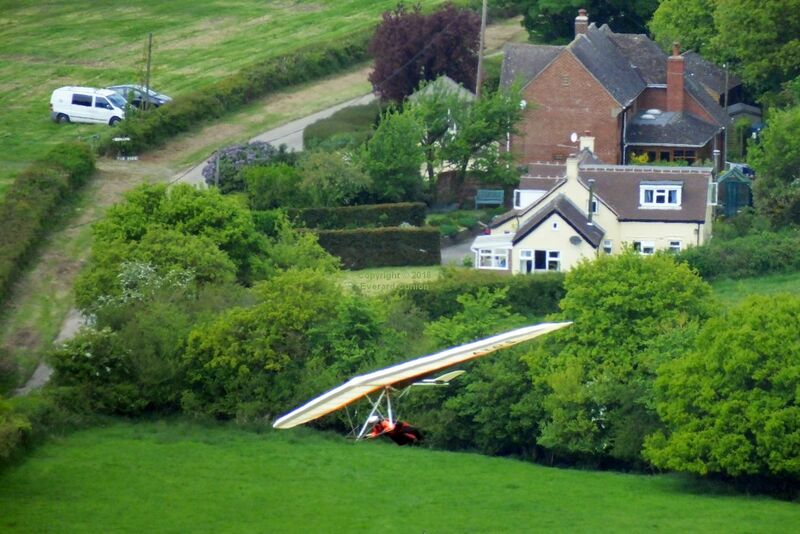 The streamer on the king post, the red ribbon, indicates a pilot with less than 10 hours air time. 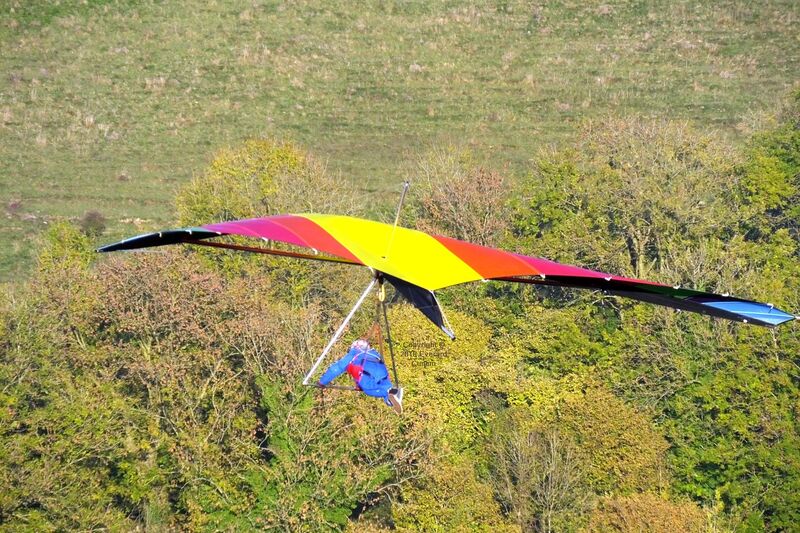 Tony has more than that, but he recently returned to hang gliding after several years out. 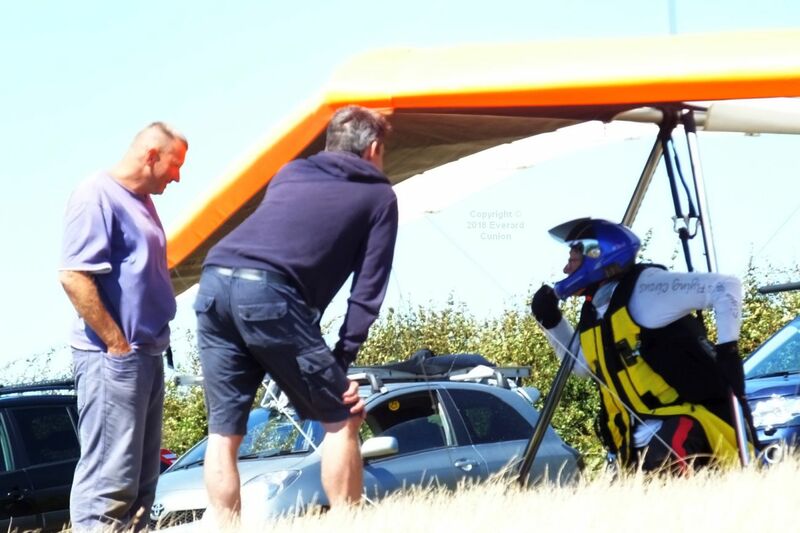 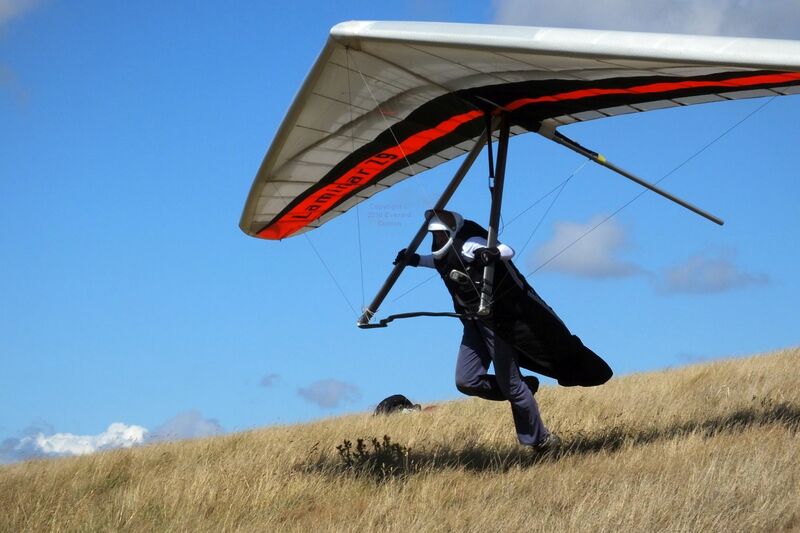 It is possible to maneuver a hang glider through the gate from the top landing field to the hill-top car parking area on your own, but a helper reduces the risk of damaging the glider. 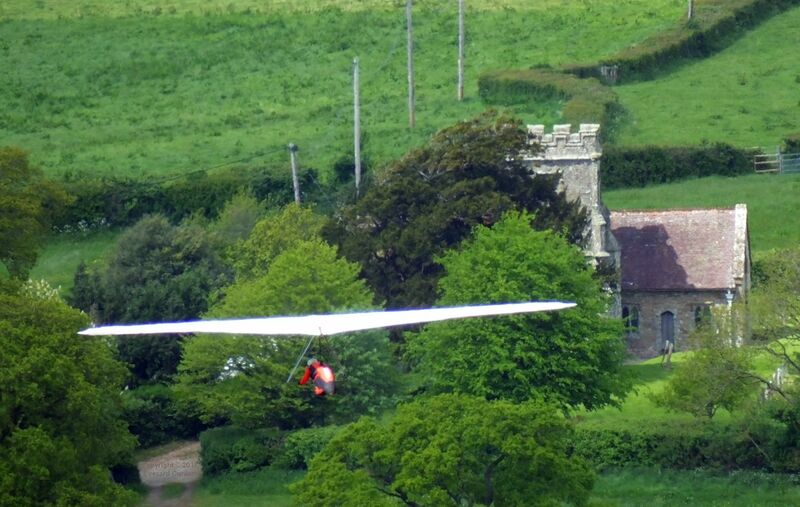 Notice from the streamer on the king post that the wind is across the wing. 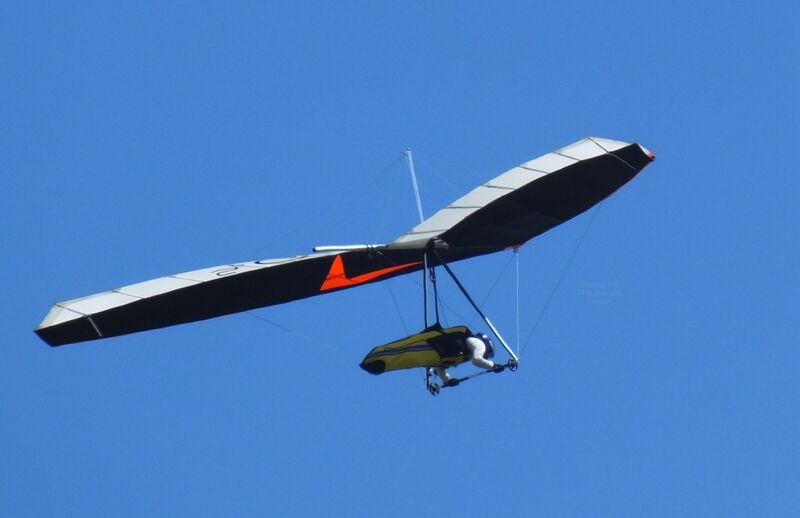 If the wind gets under the wing and lifts it, it could cause much damage. 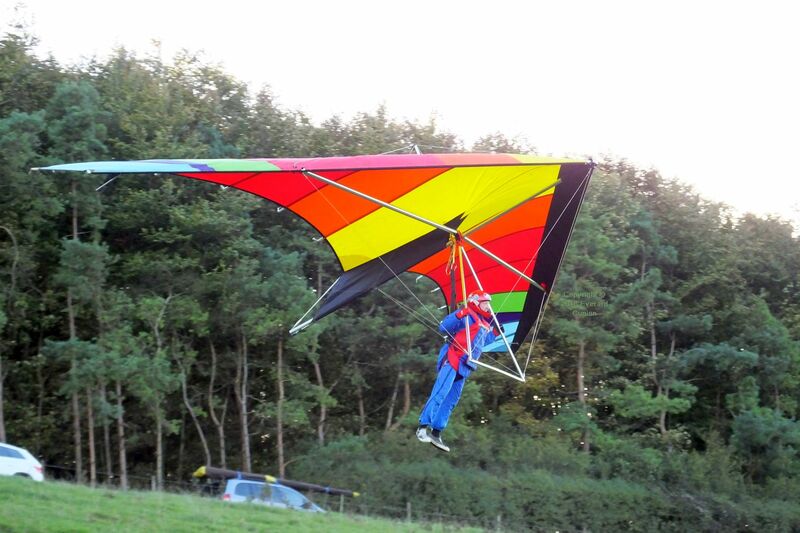 Gary D enjoyed an extended top-to-bottom flight at Monk’s Down, north Dorset, England, shortly before sunset on this clear autumn day. 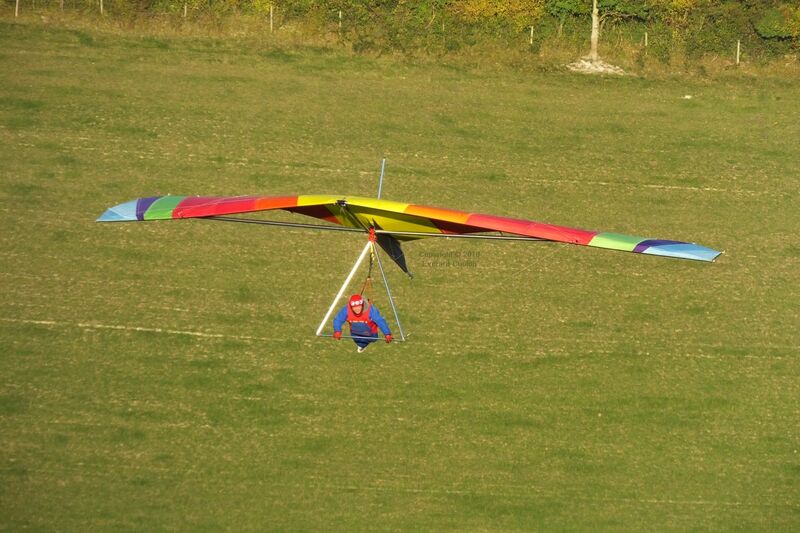 The glider is a Superscorpion 2, made by Hiway of Abergavenny, Wales, in about 1981. 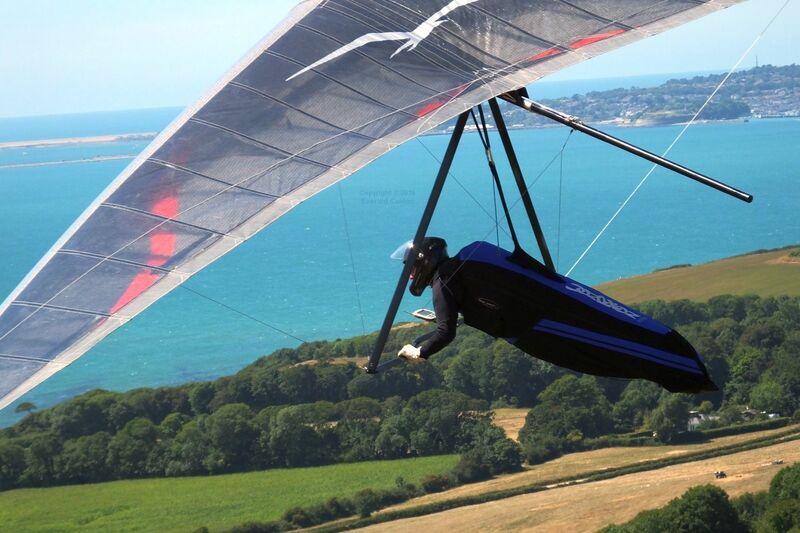 Brian was the first British hang gliding champion — in a simpler wing — in 1974.